I realize that many don’t like to use up those leftovers from the night before dinner. However if you have chosen to be on a tight budget or determined to save money this year, using up leftovers is a HUGE money saver. I have friends that have husbands that totally refuse to eat leftovers from the night before. I really don’t get it..unless those leftovers are not being served up in a new and interesting way the next day. I just wanted to give you a quick and easy idea for using leftovers by making this quick Taco Soup that I whipped up in about 5 minutes…with leftovers. 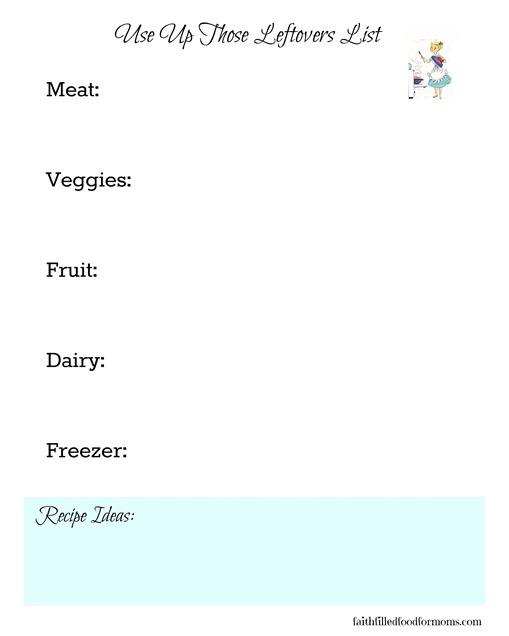 I have also added a Free Printable for you to use to take stock of what is ALREADY in your fridge and hopefully encourage you to use up those leftovers. I looked in my fridge and NOTHING looked good..I had cooked a HUGE Taco Bar the night before for 15 Varsity Basketball Girls and didn’t feel like fixing myself lunch. 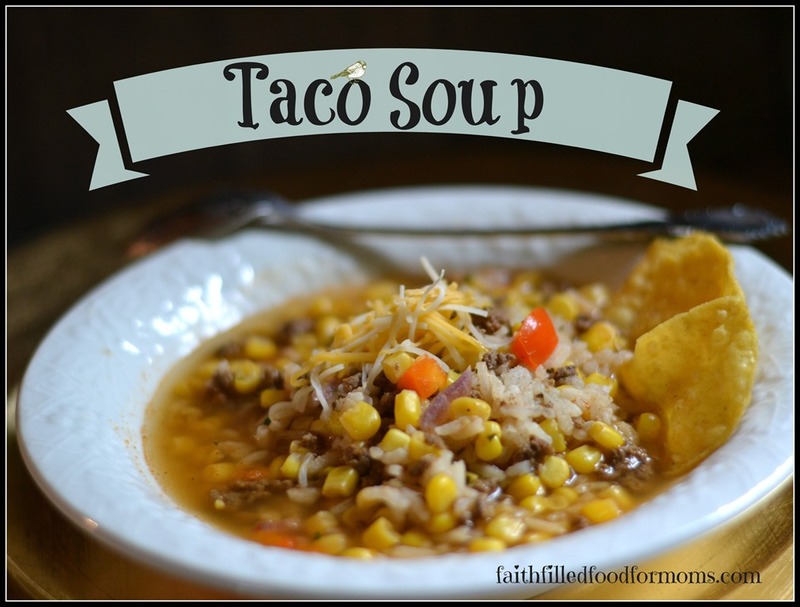 None of it sounded all that good to me and then I thought “Lord, please help me to figure out something to eat and then all of a sudden I thought of Taco Soup!” I just thought I would throw the ingredients in a pot to make a single serving! Pour water into pot …Then add all the other ingredients..heat and eat! Then I added a small amount of Cheese, Tortilla Chips, and Salsa! YUMMY!! Want to know something? I almost always consult God when I’m in the Kitchen…because He is always there! This was the great idea He gave me this time..easy peasy! 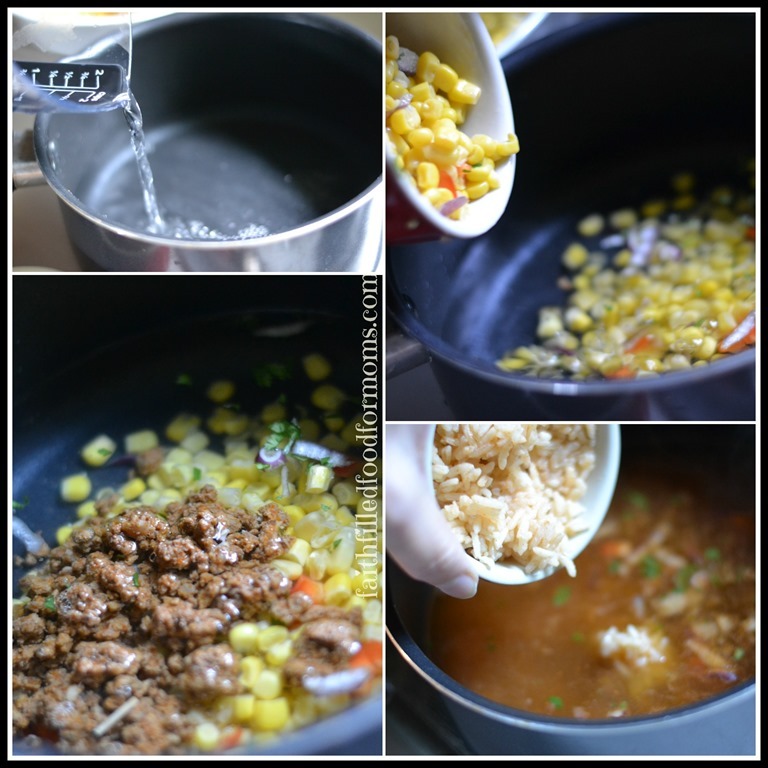 There are lots of variations of Taco Soup but here my original recipe for Taco Soup that I have been making for years! It’s deelish so enjoy! 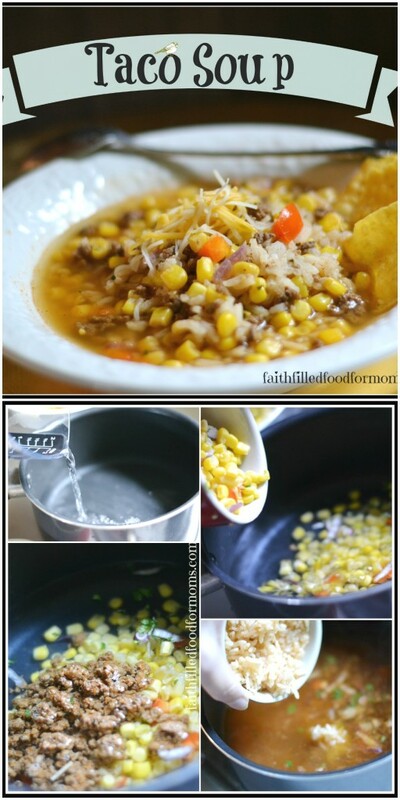 Taco Soup ~ Family Size! Add all ingredients a pot and let simmer for about 15-30 mins…done! YUM! 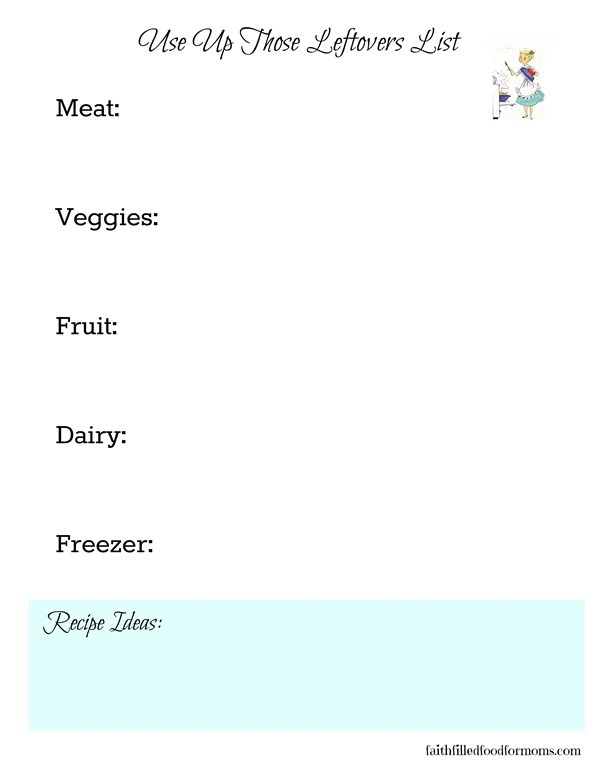 Here is a printable that will help you take stock of your leftovers…after you take stock…look for a recipe, be creative! Just try it for a week and see how much money you will save! How do YOU save money in the kitchen? Do you cook with leftovers? Why and why not? Using leftovers is a great time-saver! Sounds like a delicious meal! Definitely a HUGE time saver! Thank you for stopping by Tina:) Blessings!